June can't come quick enough! Not only does this book sound fascinating but the cover is to die for! 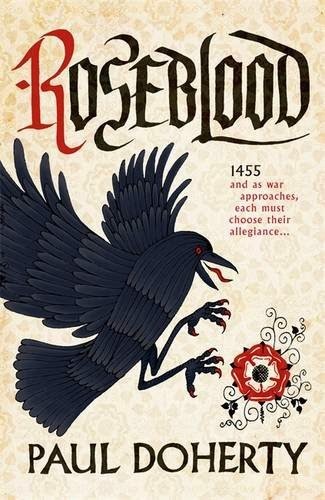 England, 1455: a kingdom on the brink of civil war. The Red Rose: King Henry of Lancaster's days are numbered. Deemed unfit for rule, even by his own mother, he surely cannot last on the throne for long. Simon Roseblood - London lord, taverner and alderman - is one of few loyal servants left to fight his cause. The White Rose: Ruthless Richard of York has his eye firmly set on the crown - and plenty of powerful allies who will do anything to help him win it. Henchman Amadeus Sevigny makes no bones about enforcing his own authority and asserting law and order at York's command. When Roseblood is summoned by Sevigny to stand trial for a crime he knows he didn't commit, their paths cross in ways that alter them both for ever. And as the Wars of the Roses looms, an even greater foe is poised to rock the foundations of England, and wreak horror in a hotbed of political unrest. Looks interesting! I don't really know this time period well.